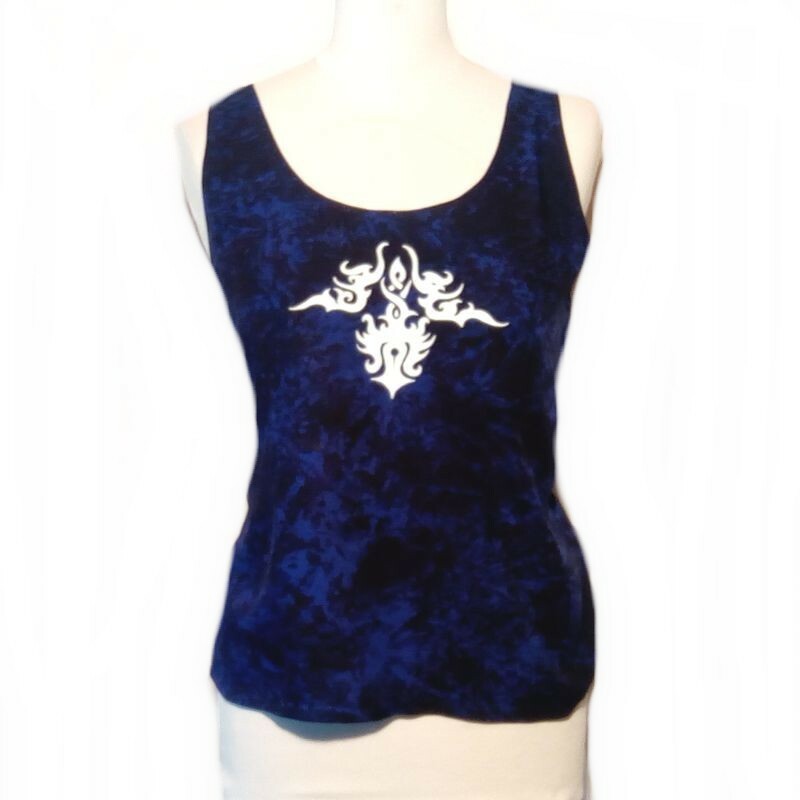 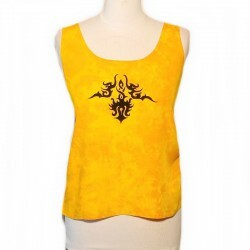 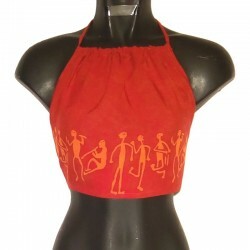 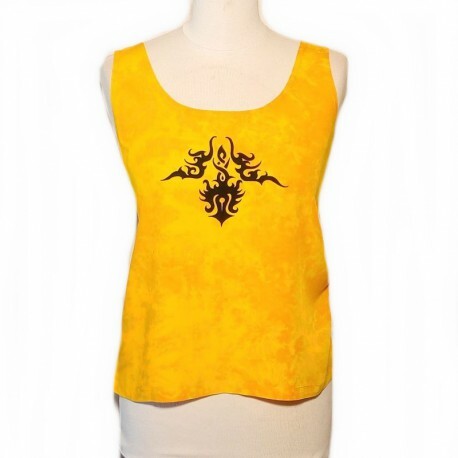 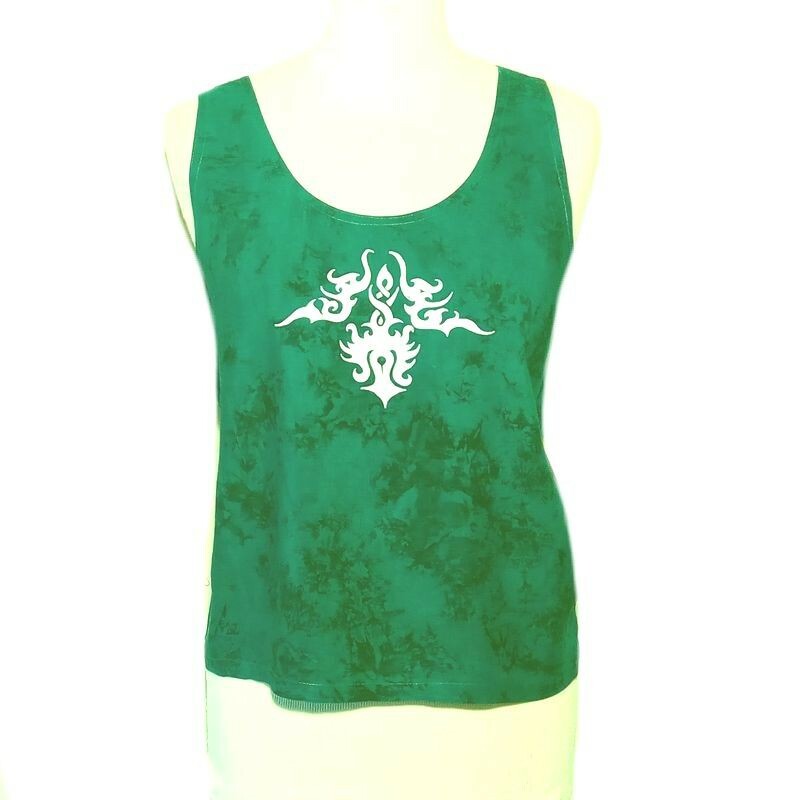 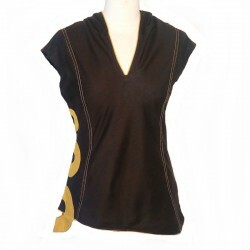 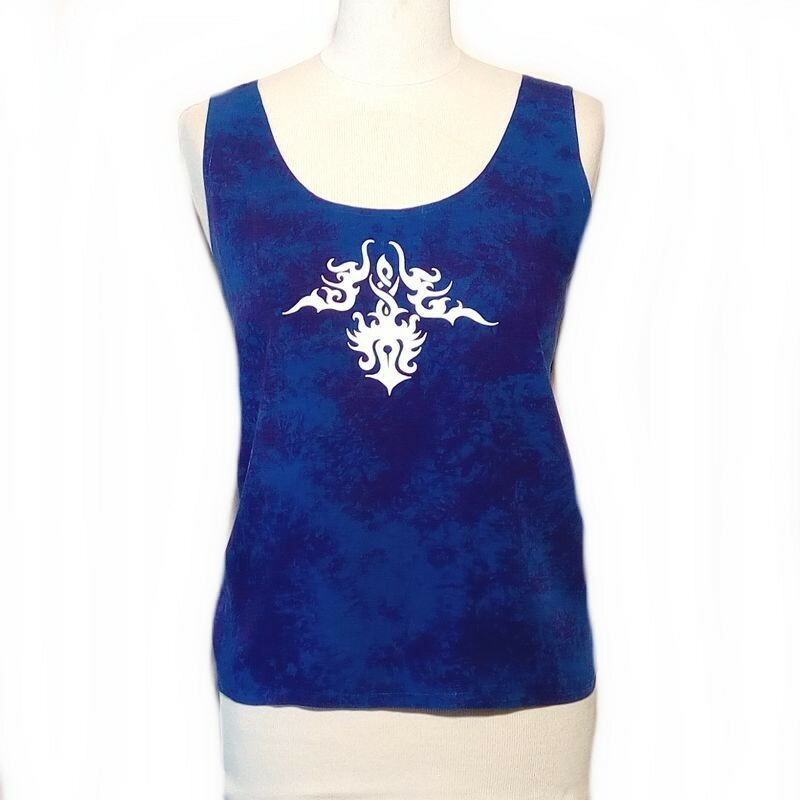 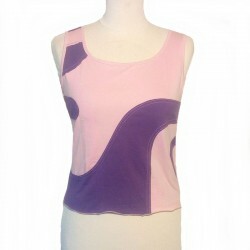 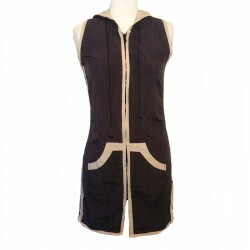 Tank in plain rayon with tribal motif on the front, made in Indonesia. 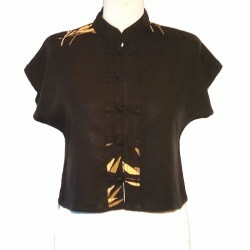 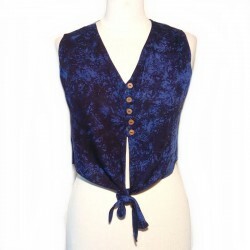 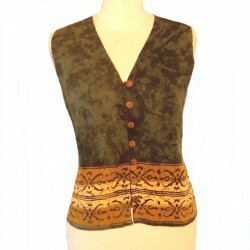 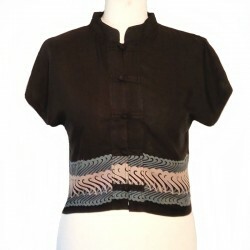 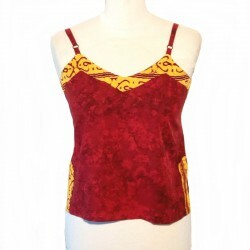 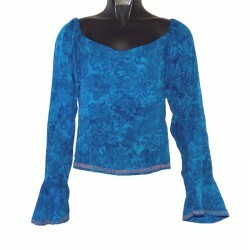 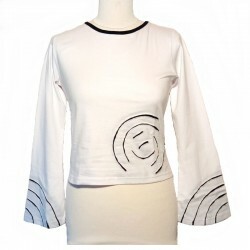 In a pretty ethnic style, delightful little top that you can associate with its pants in a pretty set. 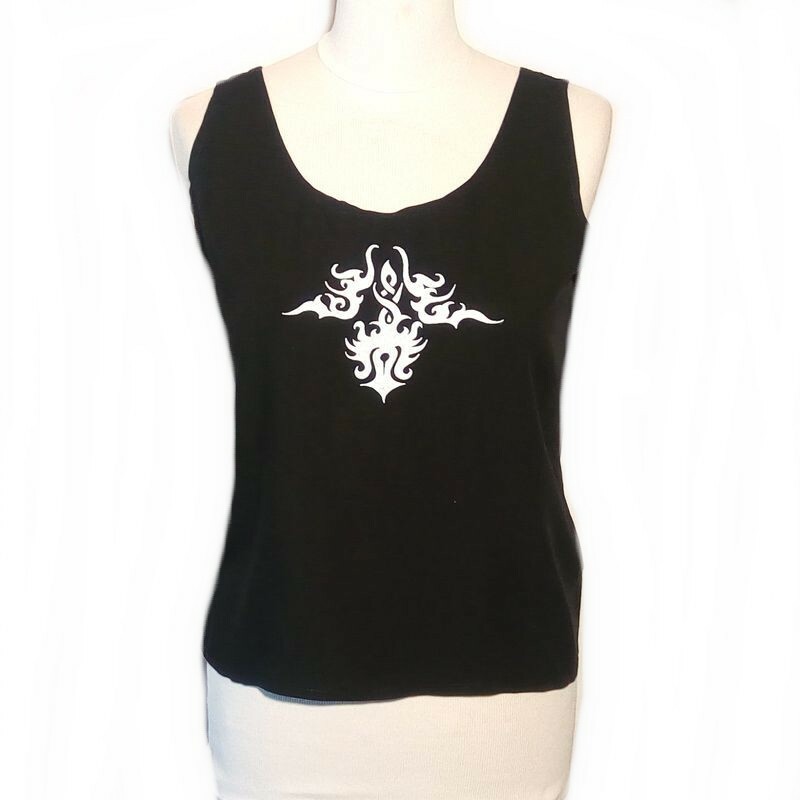 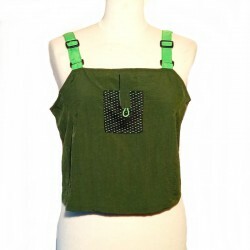 This tank top is available from 6 to 10 US. 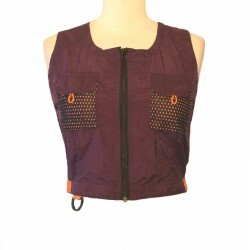 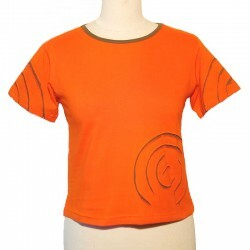 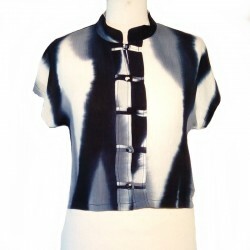 Sizes and colors can vary slightly.